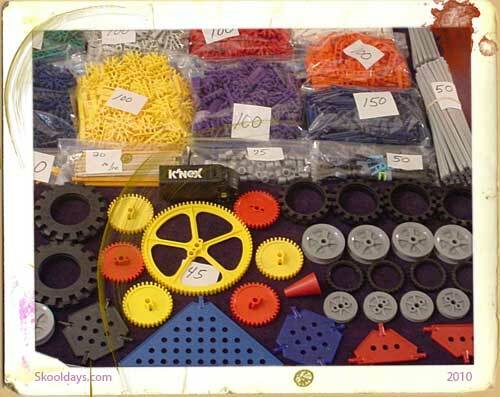 Ahh Stickle Bricks – the poor boys lego. 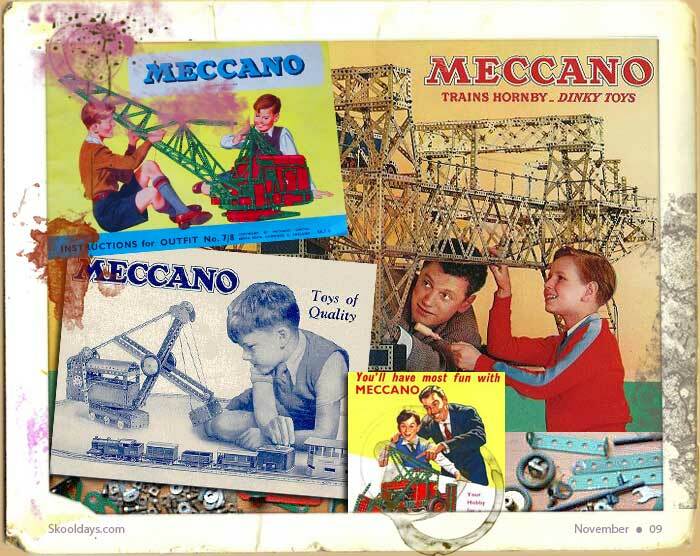 As with Mecanno and Lego, Stickle Bricks are a construction toy primarily intended for children aged 1 and above Stickle Bricks were invented by Denys Fisher in the late 1960’s. The brand is now currently owned by Hasbro and they are currently manufactured by Flair Leisure Products plc along with etch-a-sketch. Stickle bricks are colourful plastic shapes, normally a few centimeters long which has a brush of small plastic fingers on one or more edges, once these break it makes the brick useless. They’re bright and attractive to look at, and easy to put together and pull apart. With a variety of shapes and sizes, the very young find it great fun to develop their dexterity and creativity. The fingers of adjacent stickle bricks can interlock, allowing them to be joined in various ways, so the principle is very similar to Lego. Standard sets of stickle bricks contain triangular, square and rectangular pieces. 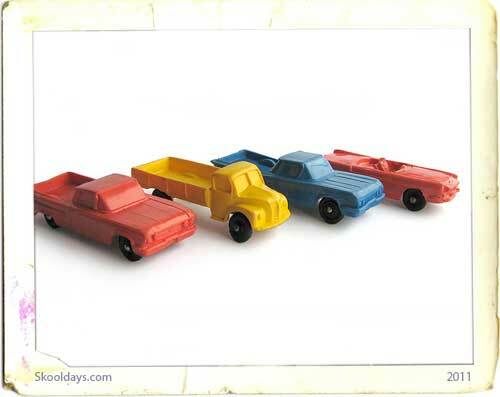 Most sets also include other types of pieces such as heads, wheels and triangles and squares. The Stickle Brick tag line is “For little hands with big imaginations”. Sticklebricks are the perfect first construction toy for babies and toddlers and no doubt they will soon move on to Lego and Meccanno. 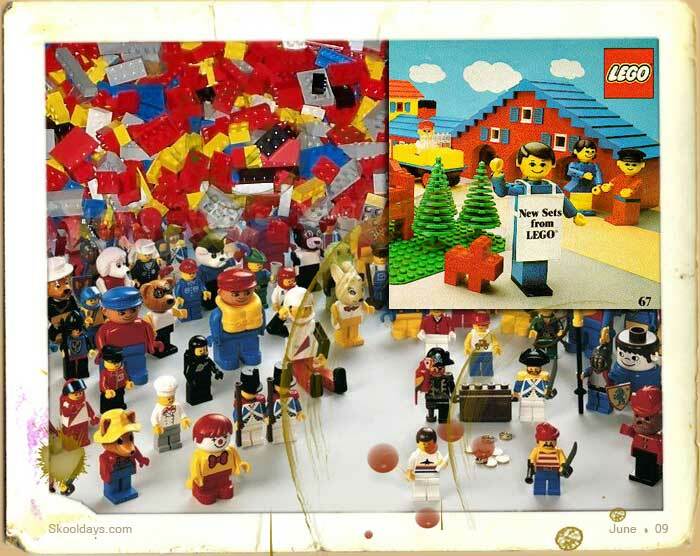 Over the years newer sets for different age groups were released. 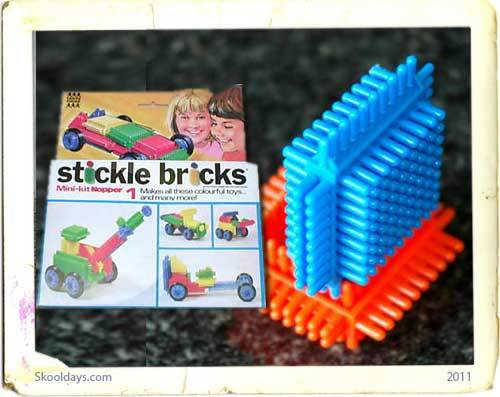 Sticklebricks actually develop with children, from Infant Builder Sets, through Junior Starter Set to Junior Builder Sets, with wheels and axles for even more creative play. 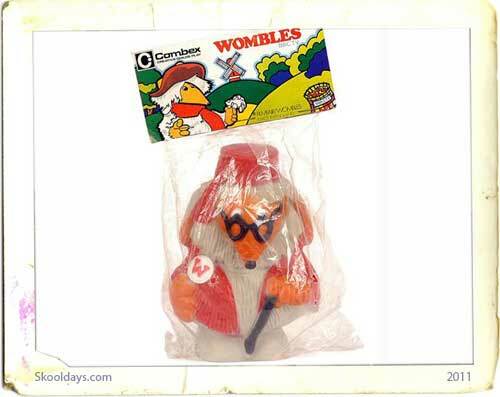 Are they still around or just a plastic memory? 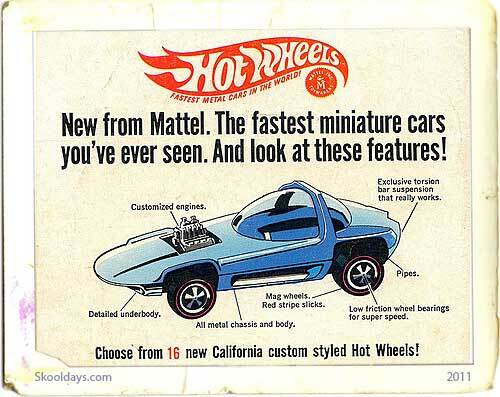 My kid’s preschool had them. I always called them bristle blocks.